Ground moisture from the floor evaporate into the space under your home. This increases the moisture levels through out your home, especially if you don't have a vapor barrier. AdvantaClean of Marietta has crawl space moisture experts that can address the source of the moisture by making simple repairs or installing comprehensive vapor barriers, ventilation systems, and dehumidifiers. Our certified technicians encapsulate the crawl space to prevent unwanted water from contaminating the area. AdvantaClean of Marietta is your leading crawl space encapsulation service expert. Encapsulating your crawl space will lock out excessive moisture and mold that accumulates in this part of your home. 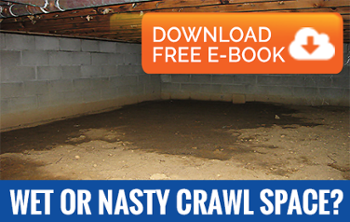 If your crawl space becomes infected with fungus or water it will damage the structure. Waterproofing the interior and exterior of your home is an important part of crawl space maintenance. After we assess your crawl space we will provide you with the best moisture solutions to prevent further damages to your home or business. For crawl space encapsulation and moisture control call at (678) 509-6823!